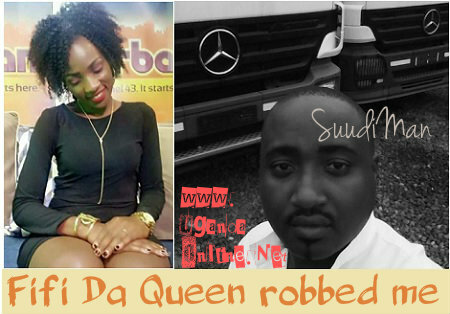 Suudi Man has failed to get to terms with the fact that his ex-lover, Fifi Da Queen, has moved on and she is now someone else's wife after she introduced her lover on Thursday. Fifi's close pals told him that it was too late to do this and whatever it was that went wrong between them, he should find space in his heart to forgive. Suudi was not about to take any of that, he bounced back with more posts, again feeling sorry for the lucky man. Fifi's hubby made a post assuring him that he loves his wife and nothing is going to come in between them, the affair is between him and her and not for the community. 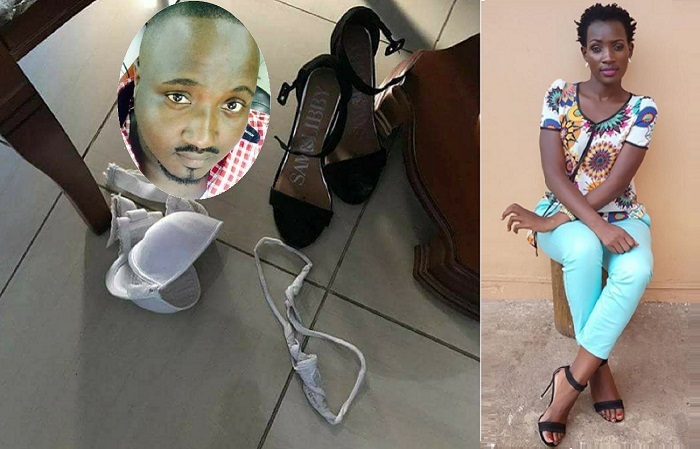 Suudi Man upped his game by sharing a pic of a white bra and lace plus a pair of Sam & Libby pixie mid heels similar to what Fifi is putting on and posed a question, guess the person!! Fifi is not bothered about all this, she is instead thanking her hubby for what she did and most importantly, not having held "begging meetings" on top of refurbishing the Wobulenzi home where the function took place. 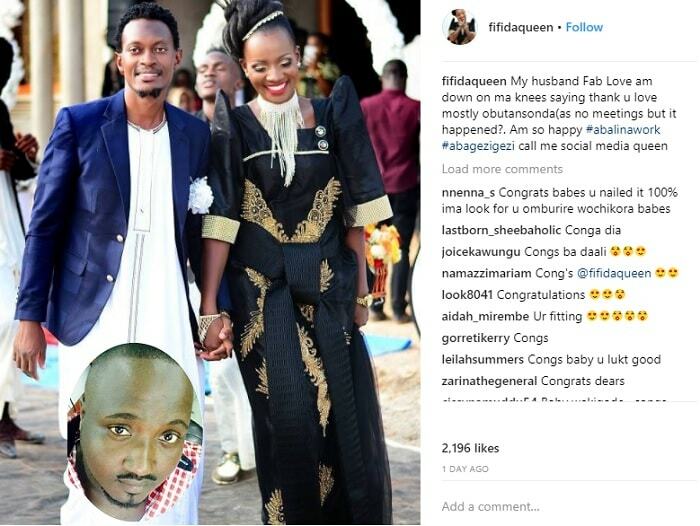 Fifi Da Queen real name Fiona Nabitengero is a Bukedde TV host for the Kanayokyani program that airs on Sunday afternoons, and her hubby is Abdullah Nsubuga aka Fab Love. Fifi has a daughter from an earlier relationship.